Online Turf is one of the UK's leading turf growers and distributors of cheap turf. We produce turf and sell it directly to the customer, allowing you to buy cheap turf of the highest standard. We believe that no other companies offer cheap turf that is of the quality of our turf. We also welcome the opportunity to beat any other cheap turf price that you may have been quoted from our competitors. If you call us, we will do our best to not only match the price, but to beat it too. Buying cheap turf doesn’t mean you have to compromise on high quality! We offer a quick and simple way to buy turf through our easy-to-use website. 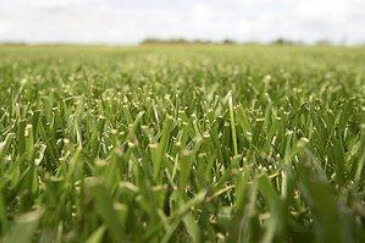 We grow several varieties of quality turf, and our most popular are Stadium and Rye Gold. They can both be viewed on our turfcam. You can also visit our feedback page to see what other customers thought of our turf and service. We really value our customer feedback and try to adapt our service to meet the needs of our customers. Why not let us know what you think? At Online Turf we believe we can offer the opportunity for you to buy cheap turf at the high level of quality you deserve. We deliver freshly-lifted turf to you, normally within 24 hours of ordering during the working week or at a time that's more convenient for you. Try our Turf Selector to find the ideal turf for your garden. If you have any questions at any stage, please use our contact page, email or telephone. We will be delighted to help you!